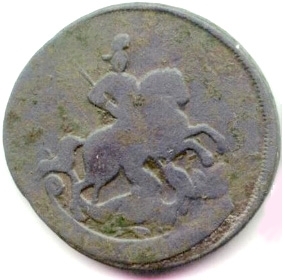 Copper 1/4 Kopek of Catherine II. Reverse: Monogram of Catherine II and date in numbers. 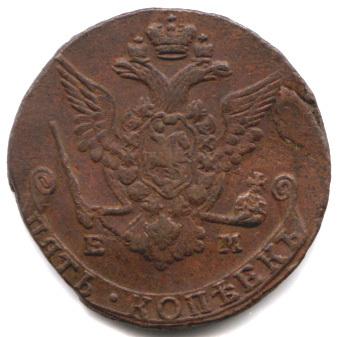 Copper 1/2 Kopek of Catherine II. 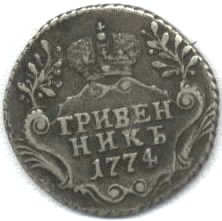 Copper 1 Kopek of Catherine II. 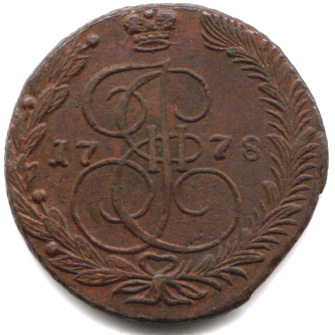 Copper 2 Kopeks of Catherine II. 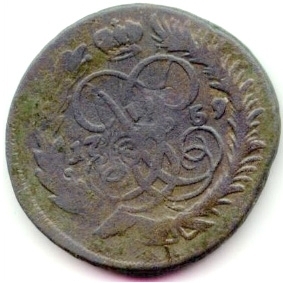 Copper 5 Kopeks of Catherine II. 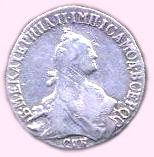 Silver 10 Kopeks of Catherine II. 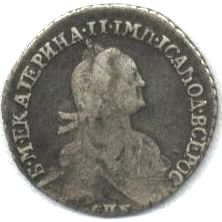 Obverse: Bust of Catherine II. Reverse: Crown and date in numbers. 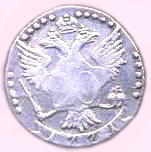 Silver 20 Kopeks of Catherine II.